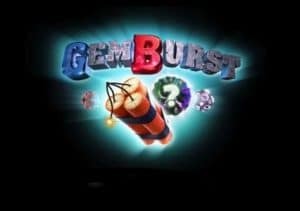 Go mining for a jackpot in Gem Burst, a jewel-themed video slot from Playtech. It’s a 5 reel, 243 ways to win game that’s played using a cascading reels game engine where successive wins can boost payouts by up to 5x. There’s also a bonus round that awards up to 30 free spins complete with multipliers and special symbols that award instant cash bonuses. Play on all devices from between 25p and £500 per spin. The action takes place in a spectacular looking cave that’s filled with crystals. The reels are made up of A to J symbols alongside 4 higher value gemstone encrusted rocks. The best of them is the red stone which pays 20 times your bet if you land 5 on adjacent reels. There’s also a wild that replaces everything bar the free spins scatter. The Win Cascades and Multipliers feature means that symbols are blasted from play after they form part of a winning combination. New symbols drop and replace them and a fresh payout consideration is made. The initial win is paid at the normal 1x rate. Each cascade win benefits from a multiplier which can reach up to 5x if you get on a good roll. The other main extra here is the Blasting Free Games feature which is triggered by landing 3 or more of the scatter (the sticks of dynamite). Here you can look forward to between 6 and 30 free spins. Before the round begins, place your triggering dynamite bombs underneath the reels. A new mystery symbol is added in the bonus round. If this lands on a reel where you’ve placed a bomb, it will explode to reveal an instant cash prize. You can put more than 1 bomb under each reel. The mystery cash prize is multiplied by the number of bombs. If you placed 3 bombs under a reel and a mystery symbol lands, the bonus prize is trebled. Placing your bombs on reels 1, 2 and 3 is a less volatile option than placing them on reels 4 and 5 so choose according to how much variance you want. The cascading reels and standard multipliers are in play throughout the Blasting Free Spins too giving you a multiplier up to 5x. Playtech has created a lovely looking and very playable game here. The high def sound and visuals are terrifically well done. The range of extras isn’t wide but the cascading reels keep the pace brisk and the mystery bombs in the bonus round can deliver some potentially explosive results. We’d put the variance in the medium to high range. Gem Burst is an impressive all-rounder, combining good design with some solid features. If you enjoy simple, hypnotic action this jewelfest does the trick. I would also suggest you try Playtech’s Legend of the Jaguar which also offers you cascading wins with multipliers.